Shortly after, Bobby Moorman was contacted by the Cajun Navy—The Cajun Navy, founded in 2016, is a group of volunteers from around the United States who work tirelessly without pay (using their own personal equipment) to provide immediate rescue and relief during a natural disaster. 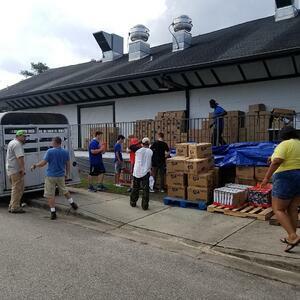 Cajun Navy affiliates Former Boston Police Officer, David Vo of Boston and Jason Cannon of Colorado requested the use of 10,000-20,000 square feet of warehouse space to serve as a central command center to house non-perishable food items, baby diapers/wipes and bottled water, so that it could be distributed to fire stations/shelters within devastated regions once the storm had passed. Spartan contacted the contract customer who owns and occupies the building, to seek permission to utilize remaining available warehouse space for hurricane relief efforts. The response was an overwhelming yes. 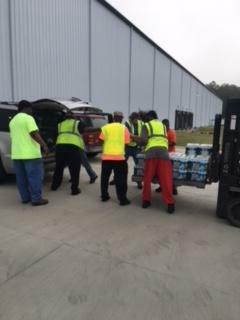 The collaborative effort between the Cajun Navy volunteers and Spartan team members to unload, reload and manhandle palletized donations, served as proof that everyone stood ready to serve; even in the most catastrophic circumstances. A week following the hurricane, water is starting to recede, but like a bad science fiction movie, the state is now dealing with very large, aggressive mosquitoes swarming in the hundreds of thousands. The only silver lining is that they aren't transmitting many diseases.